Years ago, I was working in a veterinary hospital when a 2 day old puppy came in. He had some medical issues and he was brought in to be euthanized. Not one to just give up, I requested that the puppy (who resembled a potato more than a dog) be signed over and I would care for him. I planned on getting him healthy and then adopting him out. With time, we knew that he would not be adopted out. I never gave it much thought. A dog is a dog is a dog. 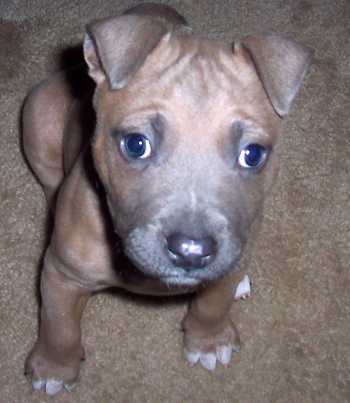 I didn’t have an issue with pit bulls. People warned me that people may say unpleasant things because of him. I blew it off. I had shepherds and I was used to people avoiding me or going to the other side of the street when I walked them. But, I was not prepared for outright nasty comments. When my little guy was 3 months old, he got to go for his first walk with the big dogs. I dressed him in his little red sweater and he resembled a raspberry bouncing down the street. A neighbor asked “is that a pit bull?”. I said yes. She told me that she didn’t want me or my dog in her neighborhood. That, I was not prepared for. How could anyone have a problem with a 3 month old puppy who looked like a raspberry? But, as I am ever so stubborn, instead of avoiding her house, I started walking him more frequently, but more importantly, I became an advocate. If that woman’s goal was to run me off, she failed. She created one of the biggest advocates in the area. When Michelle started working at her local shelter, all she knew of pit bulls was what she heard on the news. On her first day, though, in walked Bruno. He was stunning and in time, he became Michelle’s favorite. She watched people walk past him over and over again. “I don’t like pit bulls” “I live in an area where pit bulls are not allowed”. So many reasons, and there Bruno sat. In time, Bruno was adopted. Michelle was upset and she would miss him, but she was not in the right place in her life for a dog, so she focused on being happy for him. But, in time, Bruno was returned. The family had a change in lifestyle and could no longer care for him. Michelle started to wonder if it was a sign. But, still, she was not in a place where she could have a dog. So, she sat with Bruno. She took him on outings as often as she could and she loved him. After 1 year and a half, it happened. 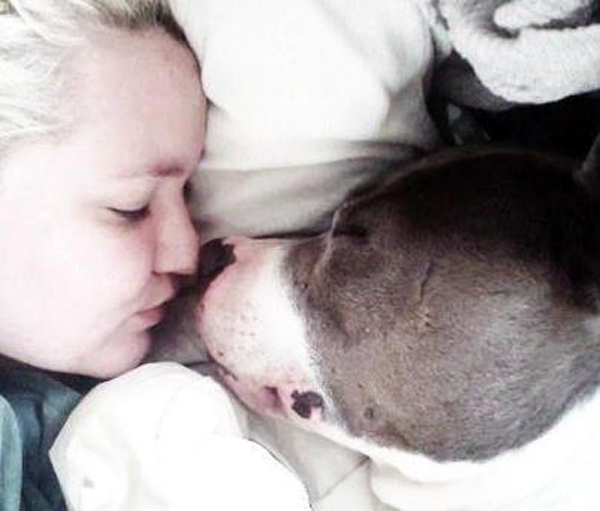 Hurricane Sandy forced the shelter to evacuate and Michelle took Bruno with her. It was a done deal. Michelle changed her living situation and Bruno has not been back since. Her family had prejudices against pit bulls; in addition to that, Michelle had witnessed the public opinion when Bruno was passed up for so long. But now, with that big blue boy at her side, Michelle is an advocate. Lindsey knew that her family wanted a dog. She had 4 kids and a dog would help to complete her family. She went to her local shelter and picked out a little dog. Unfortunately, with time, she realized that her little fuzzy dog really had little to no interest in playing with her kids. So she started looking for a second dog. She followed her local shelter on Facebook and kept seeing this little red dog pop up. Eventually, she visited the shelter and that little red dog, Junior, was perfect with her kids. It was a done deal. Lindsey never thought twice about having a pit bull dog, but she, too, encountered a negative public opinion when walking Junior. So what did Lindsey do? Did she back down or stop walking her dog? Nope! 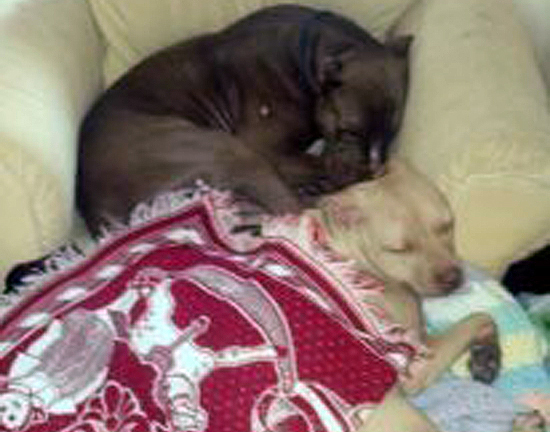 She went back to the shelter and adopted another pit bull, Bruce! We all have stories, we all got here one way or another, but no matter how it happened, we are all in this together. We are all pit bull lovers and we are all pit bull advocates. 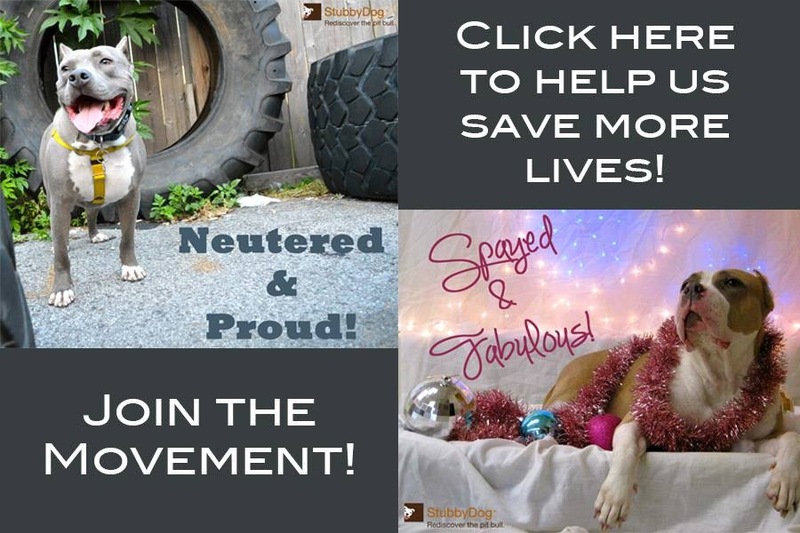 Together, we will change minds about pit bulls and together, we are awesome!